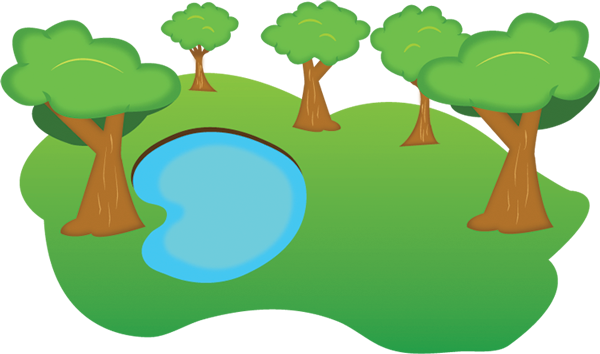 Once upon a time there was a frog called Hoppy and he loved to play by the pond in the Forest. One day Hoppy was walking through the trees to the pond and the monkey started to throw bananas at him. Hoppy ran into the pond to hide from the crazy monkeys. He came out of the pond, there was no sign of the monkeys. There was a Frog called Belinda and she was playing by the pond. The monkeys jump from the tree and took Belinda back to their hide out. Hoppy followed them in to the hideout and stole all the bananas. The monkeys started to cry. The monkeys set Belinda free. Hoppy and Belinda made friend with the monkeys and they all play in the pond. “ I am sorry” said Hoppy. “We are sorry for throwing the bananas at you” said one of monkeys “we were selfish we want the pond to ourselves” said another monkey.